A 2015 recipient of a Chalmers Fellowship has allowed her to delve into her murky ancestry of Scots. Something will come of all that, to be sure. 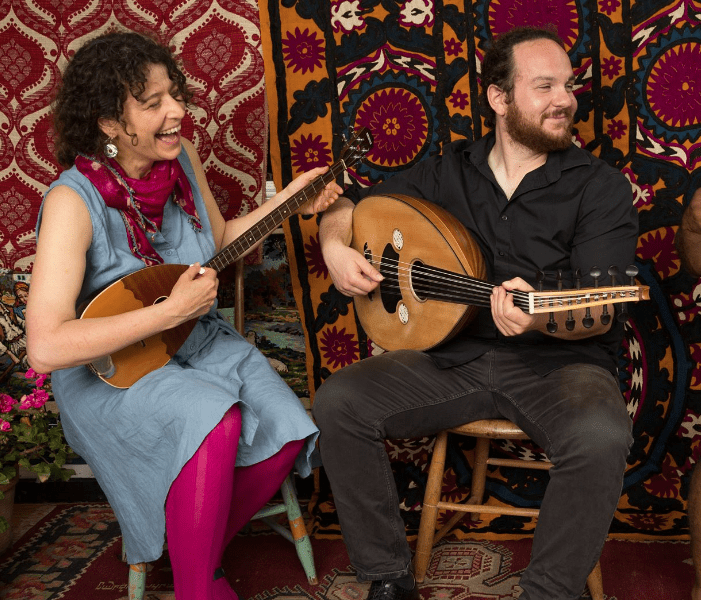 Originally from Athens Greece, Demetrios Petsalakis is a Toronto based musician performing in a variety of styles with a focus on Greek and Middle Eastern lutes. He is involved with bands such as Ventanas, Nomadica, Near East, Zephyr, The Maryem Tollar ensemble, Samba Squad, The Ken McDonald quartet and the Heavyset Quartet where he is featured playing a variety of stringed instruments including guitar, outi(oud), lyra and baglama. Demetri has a Master of Music degree in jazz guitar performance from the University of Toronto, and a Bachelor of Fine Arts degree in music from York University.